Following Apple's big announcement last night of the iPad Pro, a 12.9" business ready tablet set for a November release date, enterprise hardware security leader Maclocks is ready with an iPad Pro Lock. The new iPad Pro release comes soon after the tech giant's big push into enterprise mobility taking their recent partnership with IBM to the next level. As is already the norm Maclocks is the first to have a full slate of compatible iPad Pro locks suitable for all levels of deployments and environments. The Blade iPad Pro Lock is Maclocks' enterprise IT approved solution, an innovative device that allows you to secure any iPad or MacBook with an ultra-strong security lock. Maclocks also has the new Grip & Dock iPad Pro stand that is quickly becoming the standard in secured tablet mobility solutions. Grow your mobile workforce with the iPad Pro hand grip that allows you to "grab and go" with your iPad Pro and safely dock it when sitting at your desk. "As apple expands it's offering of enterprise apps and devices our customers are turning to us for complete security solutions," Maclocks CTO and Co-Founder Alexander Gad says. "With 9 out of 10 companies reporting theft or security breaches, our new line of iPad Pro Security Locks is a necessary accessory." By the shipping date of the iPad Pro you can already have an iPad Pro Enclosure Kiosk set up in your office, lobby or conference room. The Maclocks iPad Pro Enclosure is set to be shipped in early November with a variety of iPad Pro Stand and mounts available for pre-order online. Maclocks is showing no signs of slowing down in its tradition to be the first to offer the widest range of new iPad Locks. Maclocks is a worldwide leader in designing and manufacturing security and display solutions for Apple devices. 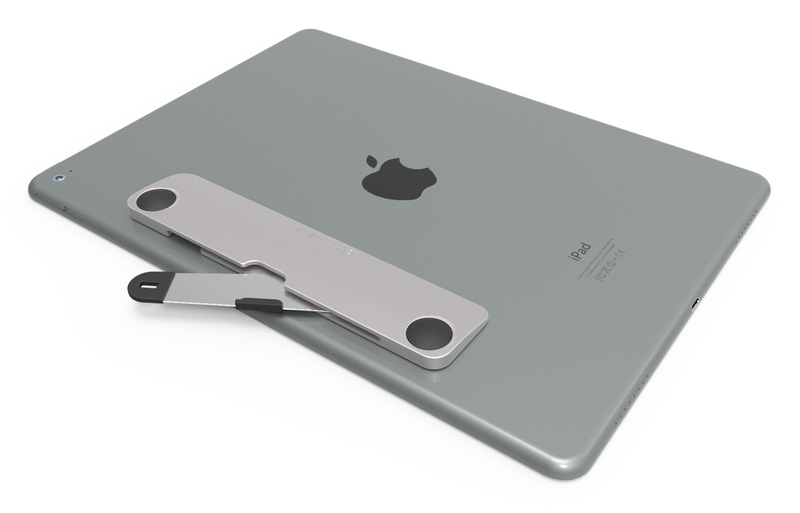 0 comments on "Maclocks reveals First iPad Pro Lock and Security Stand"